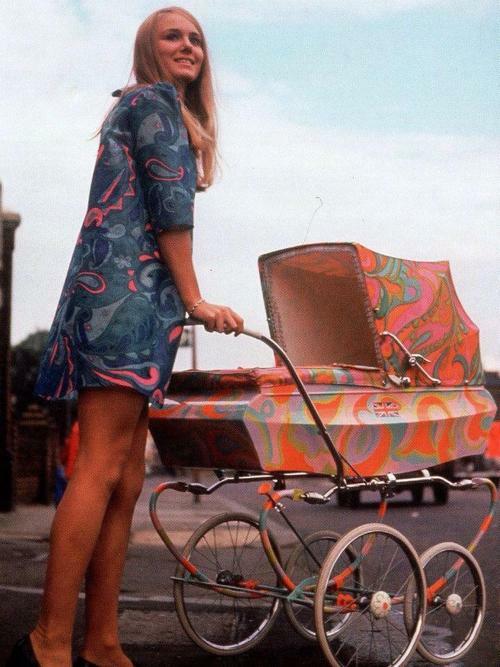 Gas war resistant pram. 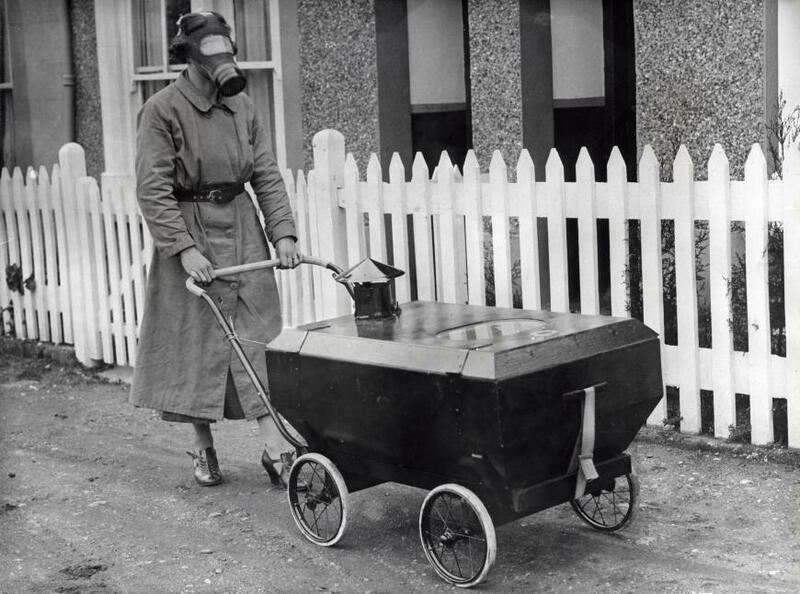 England, Hextable, 1938. 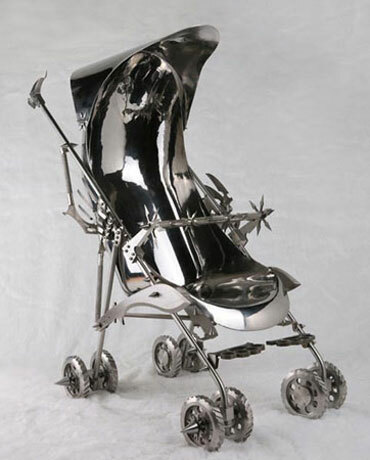 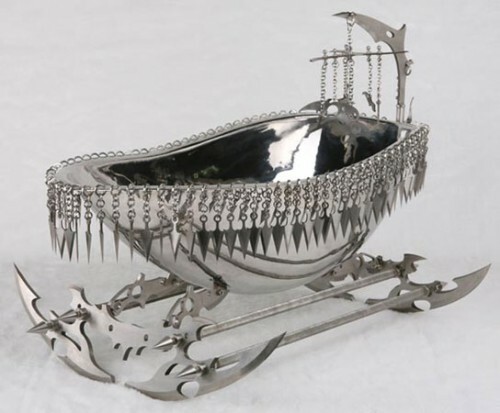 Stainless steel Na Zha Cradle & Stroller by Shi Jinsong, 2005.